Israeli occupation forces shoot huge amounts of tear gas at school children near Al-Salaymeh checkpoint in Al-Khalil. Soldiers further confiscate the car keys of every Palestinian driver in the area. 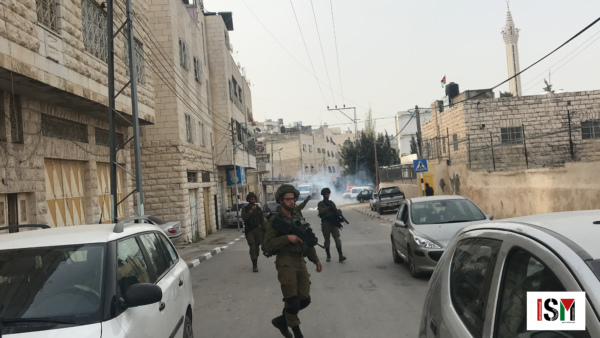 Soldiers invade Al-Khalil, bombarding the city with tear gas and stun grenades. Around 8am soldiers shot tear gas and stun grenades at school children near Al-Salaymeh checkpoint. Forcing the children back with tear gas, the soldiers moved closer to the schools, while continuously throwing tear gas and stun grenades. 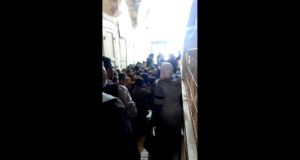 At one point the soldiers tried to enter a school, but the principal convinced them not to. As protests erupted, the soldiers closed off all traffic, while confiscating the keys of all Palestinian drivers. Several of the young children were visibly scared, but thankfully no one was seriously injured, although many suffered the effects of excessive tear gas inhalation. The press was told to leave several times. The soldiers retired behind the checkpoint around 10.30am.